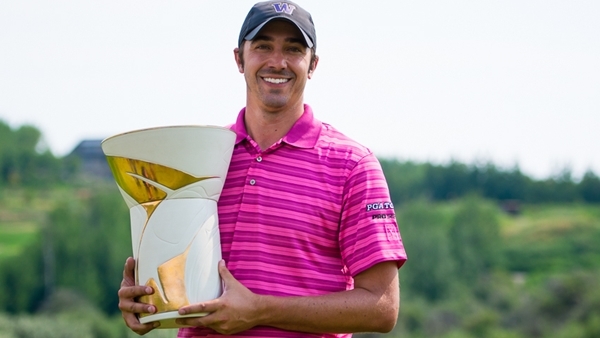 Calgary – Yakima, Washington’s Brock Mackenzie ran away from the field with a final round 6-under 66 at Sirocco Golf Club on Sunday to capture the ATB Financial Classic, his second career PGA TOUR Canada win. The 33-year old set the 72-hole scoring record for the PGA TOUR Canada era at 27-under 261 and moved to No. 3 on the Order of Merit, in position to earn Web.com Tour status at the end of the season. Mackenzie began the day with a two-shot lead over Milford, Iowa’s Brady Schnell, who carded a 59 on Friday, and Carney, but pulled away with a stead opening nine of 4-under 32. 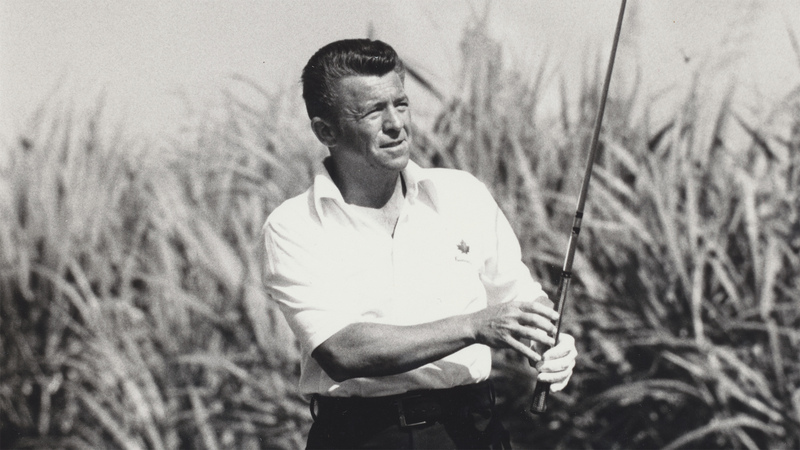 Despite some low scores from his chasers, including a 64 from Dahmen, Mackenzie pulled away from the field and didn’t let any of his pursuers have a chance to catch him. Despite the lead, which grew to as many as five shots after his seventh birdie of the day at the 14th, Mackenzie said he never felt completely comfortable until the 18th hole, where he made his 30th birdie of the week to close the victory in style. 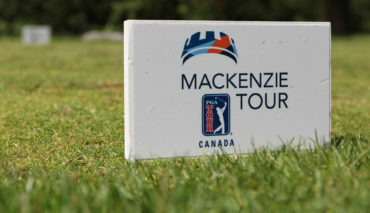 The event will go down as a historic one, wiith Mackenzie’s 27-under par total setting the mark for lowest score to par since the launch of PGA TOUR Canada in 2013. 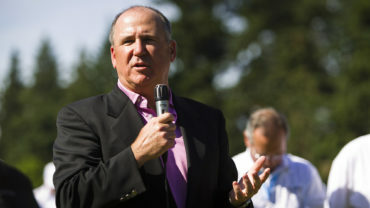 Only one player in Tour history has ever gone deeper, with Brian Unk’s 28-under total at the 2009 Seaforth Country Classic holding the all-time mark. With a final round 64, Dahmen increased his commanding Order of Merit lead to $21,920 over second place Tim Madigan, while Carney’s career-best T2 finish moved him up 111 spots to 20th. Victoria, British Columbia’s Cory Renfrew carded a final round 5-under 67, including a near hole-in-one on the par-4 11th with a drive that finished inside a foot from the hole, to finish tied for fourth at 22-under along with Schnell. At three-over par through seven holes, Airdrie, Alberta’s Riley Fleming was far from thinking he might set a PGA TOUR Canada era record on Sunday. A wild run that saw him play has final 11 holes in 11-under par changed his perspective dramatically, however, with his 8-under 28 on the back nine giving him the lowest nine holes of the PGA TOUR Canada era. “The first seven, I couldn’t do anything right. Nothing was going my way. 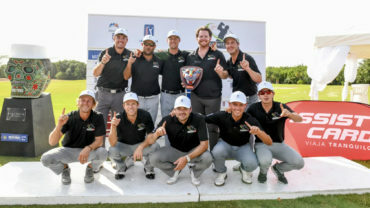 Then, I eagled eight and birdied nine to shoot even, and then everything was going in and the hole was looking like a bucket,” said Fleming, the youngest member on PGA TOUR Canada this season. From the eighth hole onward, Fleming went eagle-birdie-birdie-eagle-birdie-birdie-par-birdie-birdie-par-birdie and finished with an 8-under 64 to finish tied for 13th. Fleming now sits 39th on the Order of Merit, with his best finish a tie for seventh at the SIGA Dakota Dunes Open presented by Sasktel. With a final round 5-under 67, Victoria, British Columbia’s Cory Renfrew finished in a tie for fourth at 22-under to earn Freedom 55 Financial Canadian Player of the Week Honours. Renfrew, who earned a $1,500 prize, edged out Peterborough, Ontario’s Ted Brown by a shot, two weeks after Brown won over Renfrew in a tiebreaker to take the award at the Staal Foundation Open presented by Tbaytel. Each week, Freedom 55 Financial recognizes the top Canadian on the leaderboard, with the top Canadian on the Order of Merit at season’s end earning Freedom 55 Financial Canadian Player of the Week.